The Cabarrus County made faith-based movie “War Room’” opened in 1,135 theaters this weekend and the low-budge movie came in second at the box office, “Straight Outta Compton,” earning $11 million. Outside of Christian evangelical circles, the names Alex Kendrick and Stephen Kendrick are likely to be unknown but thanks to low-budget hits like “Fireproof” and “Courageous,” the brothers have transformed themselves into the Steven Spielbergs of Christian cinema., according to a press release. “We have plans for everything—careers, finances, health, but what about a strategy for prayer for our lives, our spouses and our children?” Alex Kendrick said. Filming in downtown Charlotte and in Kannapolis, Concord, Hickory and Huntersville, the Kendrick Brothers Productions project spent three months in the area last summer employing a cast of 45 and crew ranging between 85 and 100 people. It drew more than 1,000 volunteers from 85 churches in the Charlotte area. The Kendricks returned to Kannapolis in June for a world premiere of the film at the Gem Theatre for area cast, crew and volunteers. “War Room” focuses on the power of prayer through the eyes of a family that needs it. In the film, Tony and Elizabeth Jordan, seem to have it all — great jobs, a beautiful daughter and their dream home. In reality, they are not as lucky as they appear. The couple’s world is crumbling under the strain of a failing marriage, Tony basks in professional success and flirts with temptation while Elizabeth resigns herself to increasing bitterness. Their lives take a turn when Elizabeth meets her newest client, Miss Clara, and is challenged to establish a “war room” as well as a battle plan of prayer for her family. As Elizabeth tries to fight for her family, Tony’s hidden struggles come to light — and he must decide if he will make amends to his family and prove that victories don’t come by accident. The Kendricks prior films have made a combined $78 million in the domestic box office, and the production budget for the movies has increased after each release. Figures from Box Office Mojo show that “War Room” was made with a production budget of $3 million, $1 million more than their previous film. The website www.movietickets.com indicated “War Room” was trending No. 1 in ticket sales all weekend, accounting for 20 to 28 percent of all ticket sales over the weekend. “War Room” is expected to be in Charlotte area theaters until September 10th. 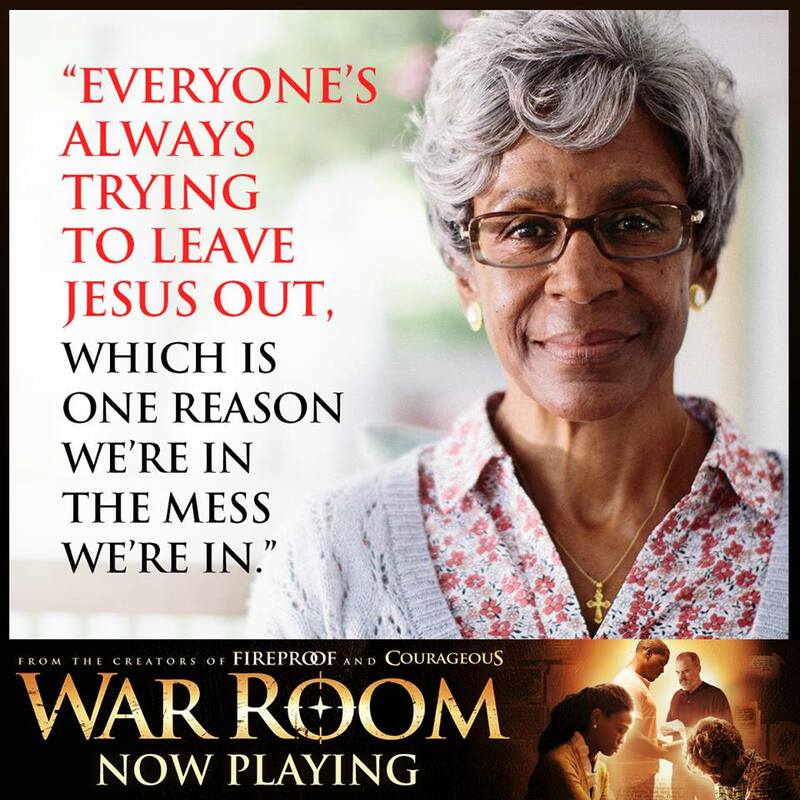 For more information, or to view a trailer or theater listings for “War Room,” visit www.warroomthemovie.com. 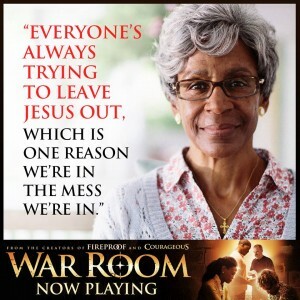 War Room is also on Facebook at www.facebook.com/WarRoomMovie. The film, being distributed by TriStar, is rated PG.